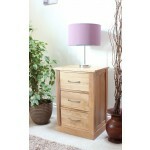 If you’re looking for the perfect bedside table for your bedroom then look no further. A welcome addition to any bedroom we made sure we have something for everyone’s style and taste. Picture perhaps a state-of-the-art black glass or sleek mirrored bedside table, crisp white painted, sturdy solid oak or the fabulous french carved bedsides . Don’t forget each of our bedside tables have full bedroom suites to match! This collection will surpass any expectations with each bedside table bringing something fresh and new to the room which brings elegant symmetry and class to the bedroom. 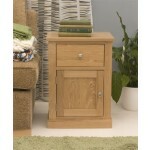 Here at Dooley’s we offer a wide range of bedside tables, which are suitable for any kind of bedroom. Our selection includes a variety of models, ranging from simple nightstands to 3-drawer bedside tables. Besides our impressive collection of bedside tables, we also offer related products that will offer an elegant touch to your bedroom, such as wardrobes, beds and chests of drawers. Shopping online for a new bedside table has plenty of advantages. The easiness of choosing your favourite items from the comfort of your own home and the convenience of having everything delivered to your door are two of the benefits of online shopping. When you decide to place an order at Dooley’s Furniture, you can rest assured that the items you choose will be delivered to you safely and as quick as possible. Thus, all you have to do is browse our selection and start shopping for bedside tables today!